The right choice of luggage or bag is an important part of planning a successful journey, depending on how, where and what season of the year you'll be travelling. 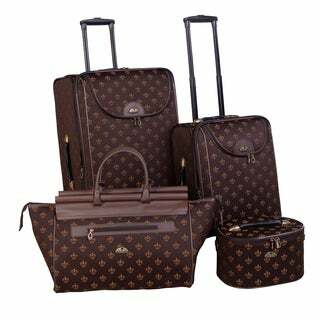 We have and assortment of luggage sets, suitcases and bags for you to choose from. And we have sorted them out into the several categories to make it easy for you to go right into it, to suit your specific travel needs. This way it will make your travel experience smoother and likely stress-free. There are so many to choose from with many features. 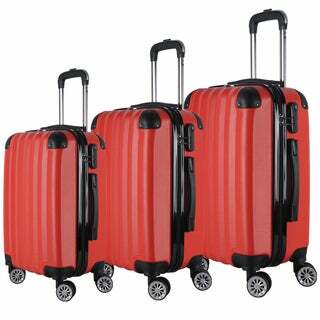 The luggage sets, suitcases or bags will let you be more maneuverable and allow you to move faster and easier. If you are travelling alone for a period of time, single large suitcases would likely fit your purpose. If you are travelling in a family, a set of luggage which are identical would be practical as they are similar, easily recognizable and will serve the whole family. If you are going to a formal function, the garment bag could carry one or two sets of jackets or dress which you do not want wrinkled and creased when you unpack them. There are also business bags, for men and women, which will store and secure laptops, phones, documents and other materials; and keeps them organized, handy, and easy to retrieve. 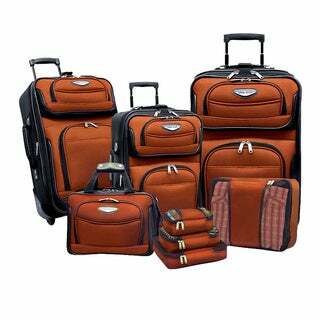 Many types of luggage sets, suitcases and business bags today are made of materials that are more lasting, durable, safer and more secured. They can be very stylish, nice-looking and fashionable as well. Several of the items we feature are specifically either for men or women. We are sure you will very likely find one that suits your taste and requirement. You may already be aware of restrictions imposed by airlines with regards to the number of luggage and the total weight you are allowed to check-in. It is wise to find out in advance as you may be able to make some savings by not having to pay for excess luggage. Airlines normally allows taken on-board a carry-on luggage and/or a laptop bag to be stored either at the overhead compartment or below the chair storage at no extra charge. However, some airlines are being stricter these days considering the many incidents, and will only allow just one carry on luggage or carry on backpack. Be like most travel-savvy people and keep that extra cash for some other purchases that you might want at your travel destination. Roll don't fold your (casual) clothes. Tightly roll your clothes, it takes less space. Make a packing list, so you don't miss out anything important. Know you airline's baggage policy, and save on luggage charges! Follow the 3-1-1 TSA liquid rules. Liquids must be in 3.4 ounce bottle or smaller and inside a single, clear, quartz-size zip-top bag, if you wish to keep them in your carry-on bag. Use personal item wisely. Keep all documents, purse, laptop in your personal item or carry-on bags. Wash your clothes on the road. Bring with you a travel-size packet of laundry detergent and a sink stopper to clean your clothes on the road. Pack dual-purpose garments. Eg.pants that turn into shorts or jackets into a travel pillow. Layer your items. Wardrobe should feature layers of clothes for the different climates (that you travel to); and pack your things in neat different layers for easy screening like shirts, pants, undergarments, electronics etc. Never check-in essential items, cash and documents; for your safety. Keep them in your carry-on luggage! Use packing aids. Use compression sacs, packing envelopes or packing cubes. Use garment bags to keep your jacket, suit or dress to avoid creases. Gone are the days when you have to lug massive suitcases by a single handle when you travel. There are indeed plenty of choices today to help you ease your travel. 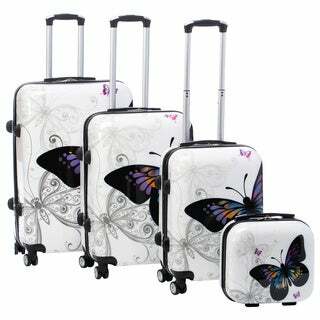 Suitcases comes in different varieties either in size, color and material, and they could be even in sets to suit the needs of the person. The tried and true favorites of most seasoned travelers' today are rolling suitcases or business bags. There are a variety of them to choose from to carry your heavy belongings with ease. 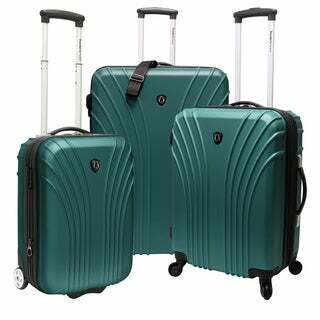 The new high quality suitcases or business bags are very durable and tough, and you can choose either the 2 wheeler, or the 4 wheeler type which are more versatile. The Merax brand of Suitcases for instance, provides you with the different options and choice. The possible setback of a 4 wheeler however, is it may move easily on buses in motion when in an upright position. Nevertheless, suitcases or business bags on wheels helps you move around a lot faster, even for the ladies. On the other hand, if you are on a business trip, you will want to be more organized and ensure all your items, documents, laptops and presentation materials are in place. These days, Business Bags are also designed and tailored with the customer needs in mind. The choices provided are numerous - from briefcases like the Solo Colombian Padded Leather 16-inch Laptop Briefcase with File Pocketor choices of carry on backpacks to iPad and Tablet cases. What best fits your needs, just look here and take your pick. 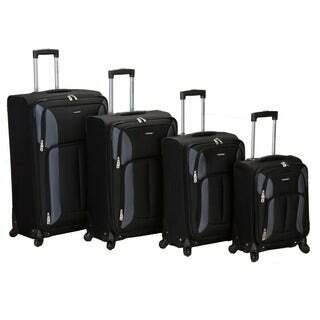 Another good way of choosing what to buy would be to get luggage sets which can be either the 3 or 4-in-1 set. It comprises of the main check-in or large luggage where you pack all your bulky belongings like clothes, jackets, and alternate shoes etc; and the carry on luggage to keep some permissible personal items, documents and maybe clothes for a day or overnight trip. Together with this set is the personal item bag where you may keep allowed personal items like documents, passport, etc. An ideal carry on luggage will let you roll from check in through lift-off without a hitch. You now also, among others, have a choice of lightweight carry on luggage with attached easy-glide wheels that takes place of a multitude of other cumbersome carry on luggage types that can weigh you down. With compact-look features but un-seemingly organized, this choice of bag is big enough to carry everything. Some carry on luggage have practical see-through features that eliminates rummaging; compartments that give easy access to toiletries, and a host of pockets to help you organize everything from cell phone to travel documents. For instance, take a look at the many types of Rockland Luggage that you can choose from. There are times when we travel, it becomes very cumbersome to be dragging and holding on to our document folder or trying to make a call over our cell phone.Therefore, carry on backpacks makes more sense and is more convenient. Our hands are free, and that way we can do the other important tasks as well, like holding on to our child when we are walking.Carry on backpacks nowadays comes in various designs, features and quality. I can assure that you will find one to your taste and liking here.